It's been a long, long time since I last visited Ipoh. But last May, I had the opportunity to visit this capital city of Perak state again. Eric is from Ipoh so naturally, he became our tour guide. All I was interested in was the famous Ipoh food, nothing else, so show me the money...I mean food! The first place Eric brought us to was the famous Kedai Kopi Sin Yoon Loong. 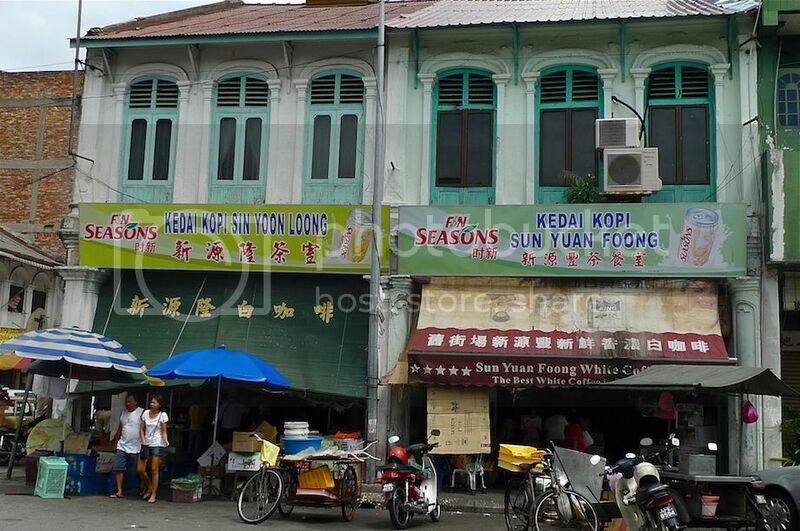 Next to it is another shop, Kedai Kopi Sun Yuan Foong. Not sure which one has better coffee but the one I tried in Sin Yoon Loong was not bad! Look at my cup of frothy white coffee! It was rich and not too sweet - just the way I like it! 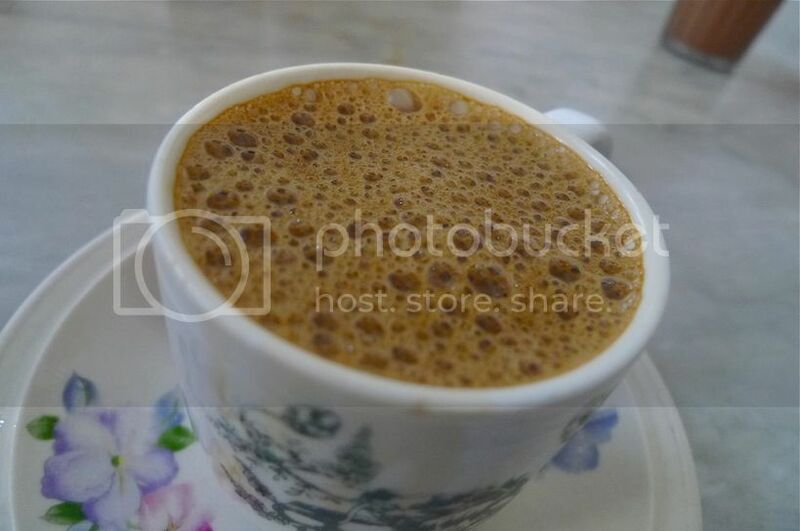 I always like hot coffee inside porcelain cup - looks very authentic and old fashioned haha! I heard that this Sin Yoon Loong coffeeshop is the original white coffee outlet in Ipoh. So all the other white coffee outlets sprouting every where are just copycats, it seems. 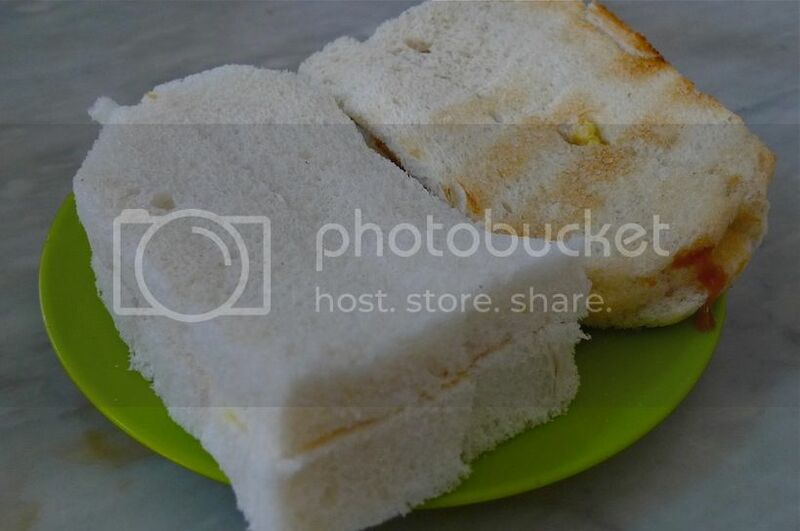 We also ordered white bread with butter and kaya. I think one was toasted and the other was not. They were delicious with the right amount of butter and kaya. We did not eat anything else there as we wanted to reserve our stomachs for the nga choi kai (bean sprout chicken) which Ipoh is famous for. 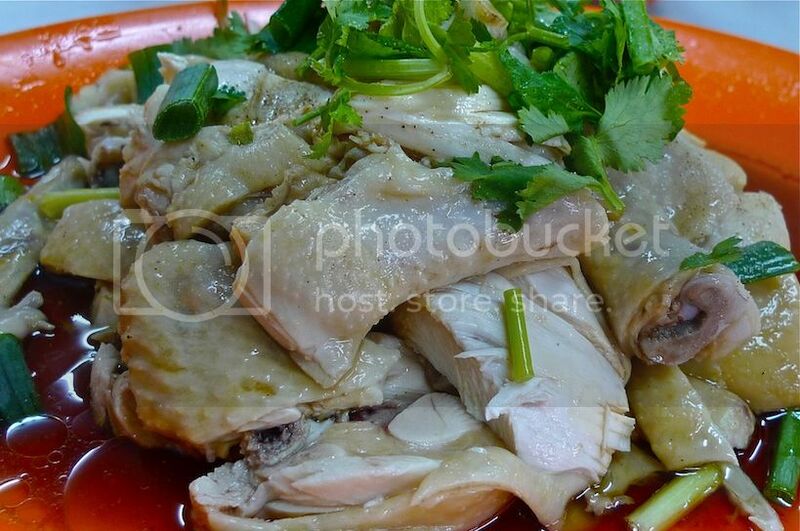 There are two restaurants in Ipoh famous for their bean sprout chicken. One is Lou Wong and the other is Onn Kee. But look, they are just next to each other! Talk about rivalry! 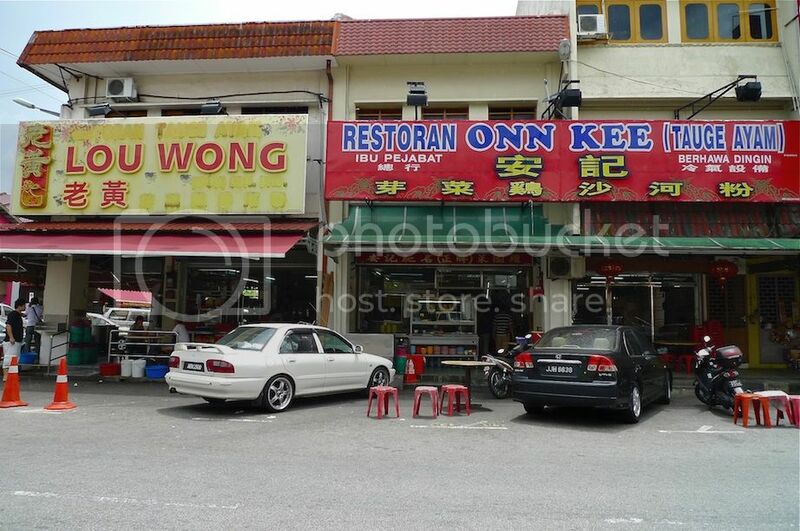 Can't remember who made the decision, but we ended up at Onn Kee. If you are not a Malaysian, or you are a Malaysian but have never been to Ipoh in your life, this is what bean sprout chicken is all about! First, you have the steamed (or poached?) chicken. I did not really find the chicken that special or tasty. Hmmm, why is it so famous? No idea here. Oh well, it's probably overrated just like the Melaka's chicken rice balls. Secondly, you have the nga choi or bean sprouts (also known as taugeh in Malay). 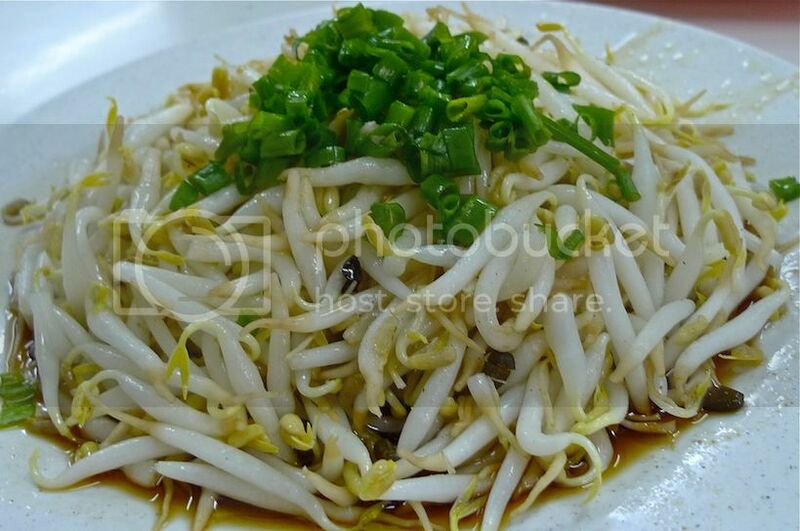 OK, I have to say that Ipoh's bean sprouts are really fat, crunchy, juicy and tasty! So much fatter and sweeter than the ones in Petaling Jaya or Kuala Lumpur! Two thumbs up for the bean sprouts! But why were they so fat and juicy? Some said it's due to the underground water from Ipoh's limestone hills that contains traces of dissolved calcium carbonate. So there you have it - the famous bean sprout chicken of Ipoh! But...wait! 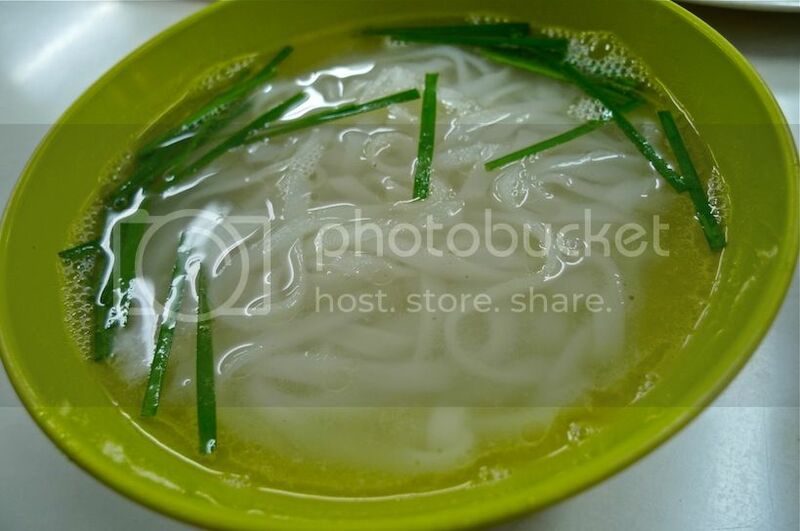 To complement the nga choi kai is another famous dish - Ipoh hor fun (flat rice noodles). In Ipoh, you don't usually eat the chicken and bean sprouts with rice. You gotta eat it the Ipoh way - with hor fun! The flat noodles in soup were really smooth in texture, but the soup itself was not that tasty. However, it perfectly complemented the bean sprout chicken! 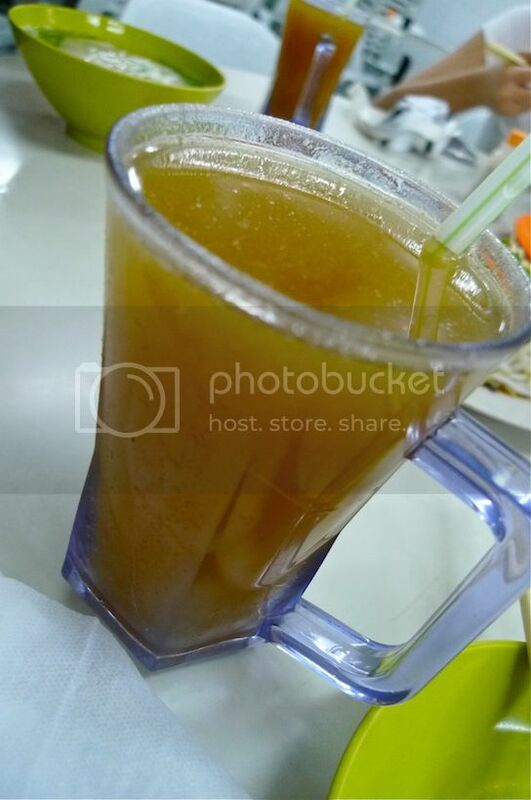 I also ordered a kumquat drink to ease my thirst as it was a rather hot day in Ipoh. 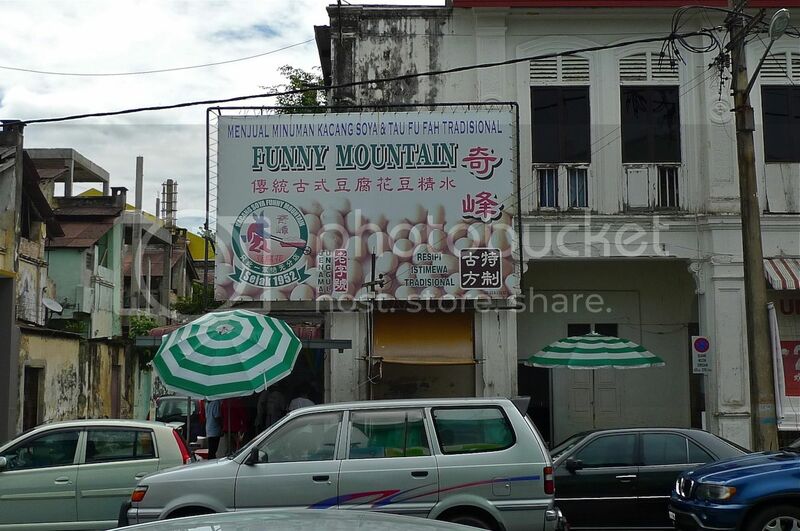 After our lunch at Onn Kee, Eric brought us to the famous Ipoh tau foo fah (soybean curd) at Funny Mountain. 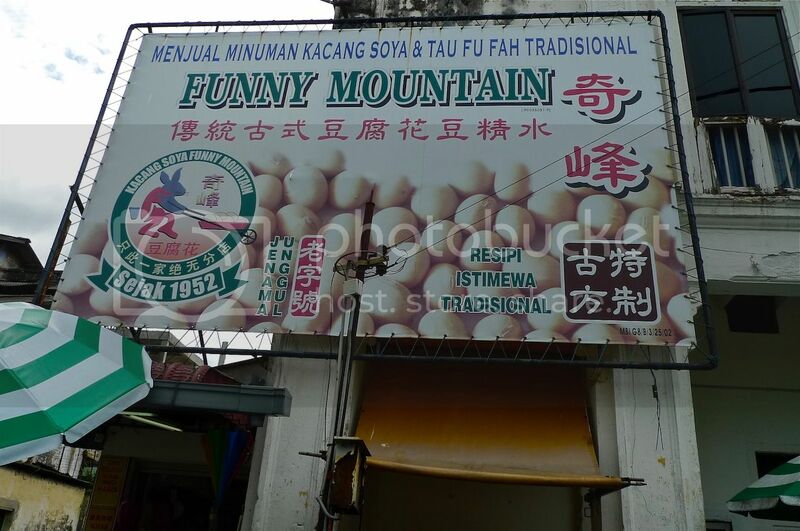 Funny Mountain? Yes, I did not type that wrongly. Here's an enlarged photo of the signboard just to make sure. LOL! I was wondering what's so funny? But seriously, the portion of their tau foo fah was so small it's no laughing matter! If I remember correctly, it was priced at 90 sen per tiny bowl. Which makes it quite expensive! Anyway, I did not really like this tau foo fah although I must admit the texture was really smooth you could literally swallow them straight from the bowl without biting. Maybe there's nothing really special with the taste? 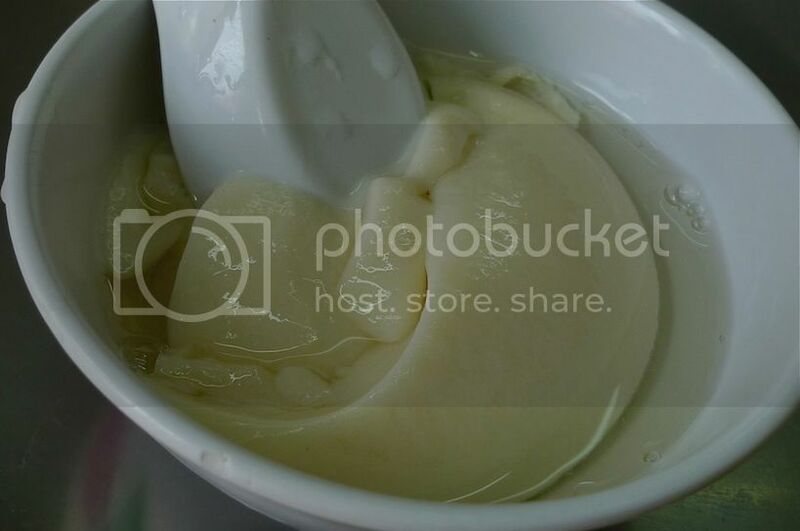 Ok, honestly, I like my tau foo fah with some gula melaka in it, so perhaps that explains why I did not like it. But judging by the long queue of people lining up, I guess I am in the minority. Next, Eric brought us to Kampung Kacang Putih at the outskirts of Ipoh. What did we do at Kampung Kacang Putih? Buy kacang putih of course! LOL! 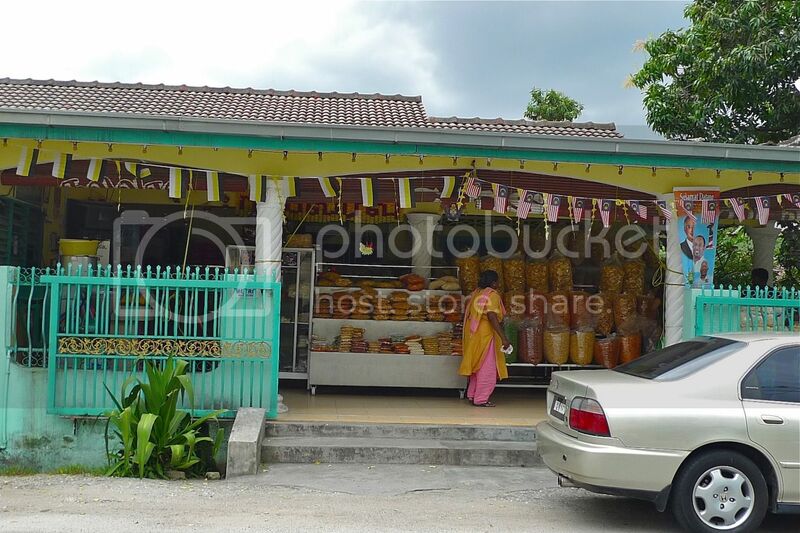 The kacang putih shop is actually located inside a house. The photo above shows the front entrance. 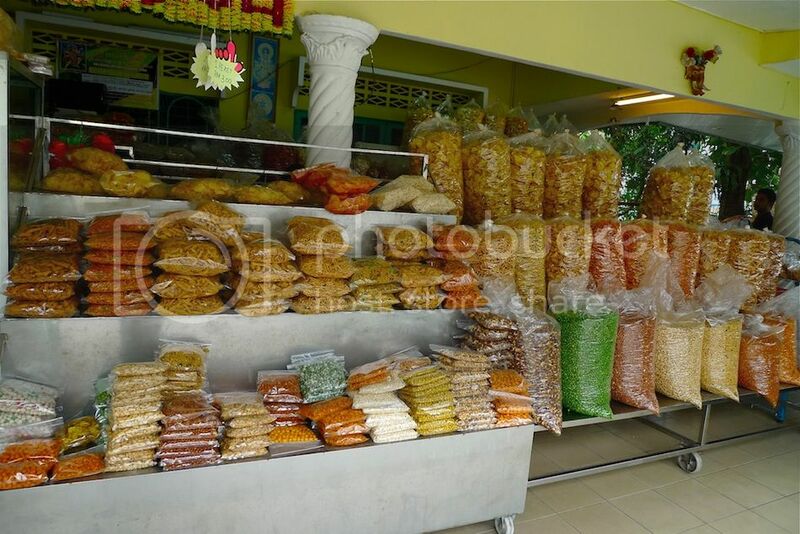 There were rows and rows of kacang putih on sale! It's kacang putih heaven! The term kacang putih is actually quite broad. 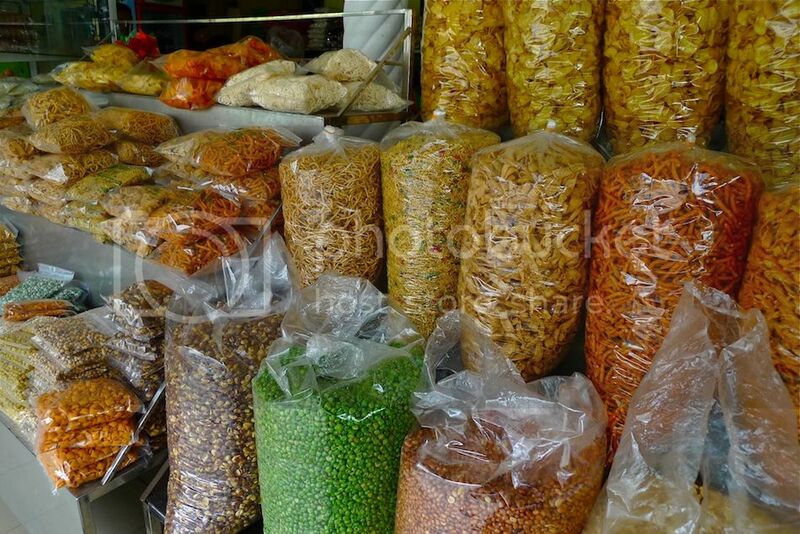 They come in the form of muruku, tapioca chips, green peas, broad beans and various kinds of nuts which I do not even know the names to. But I swear they are really nice, especially the long shaped muruku. Light, crispy and not oily, I have to say I can't find such tasty snacks in Petaling Jaya or Kuala Lumpur. What's more, they were very reasonably priced at only RM2 per pack. 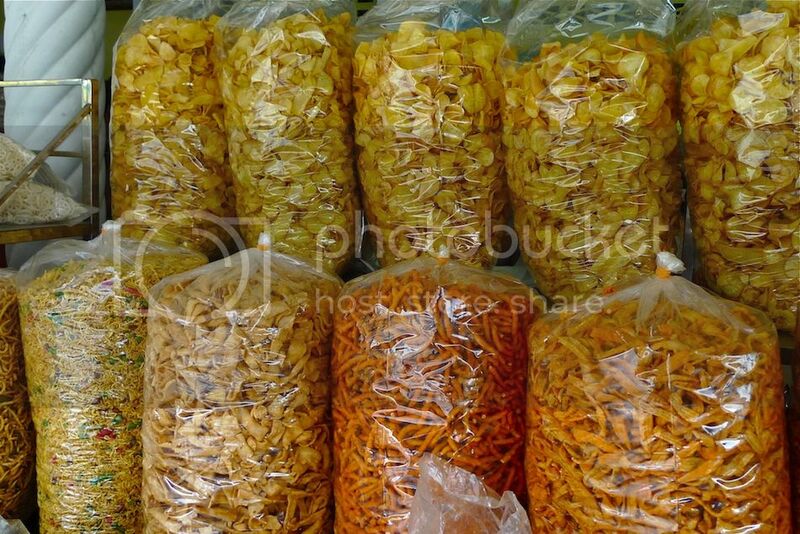 Expect a similar pack to cost at least RM4 in KL. I ended up buying 8 packs. Which I regretted a few days later at home as they were all gobbled up in no time! I should have bought 20 packs but of course, the car would not fit! LOL! Thanks a million to Eric for bringing us around Ipoh to taste the delicious food. Will I return to Ipoh? Yes, even if it's just to get my hands on the Ipoh white coffee, the fat juicy bean sprouts and the yummy kacang putih!